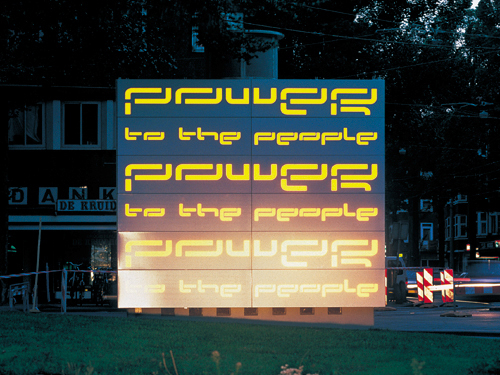 Martijn Sandberg created a typographic design on aluminum panels attached to the walls of the transformer station at the Hoofddorpplein, Amsterdam. 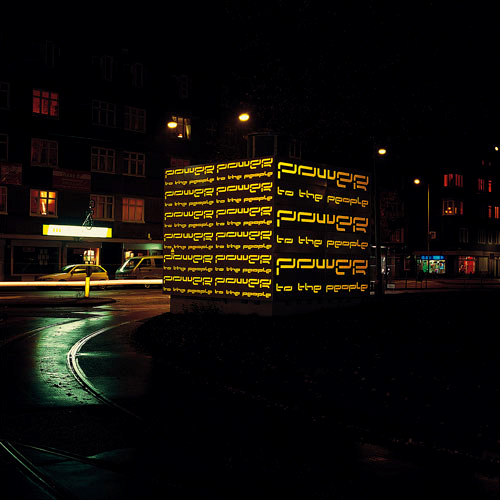 In the dark and caused by street lighting or the headlights of passing cars, the reflective yellow colored letters light up very brightly. 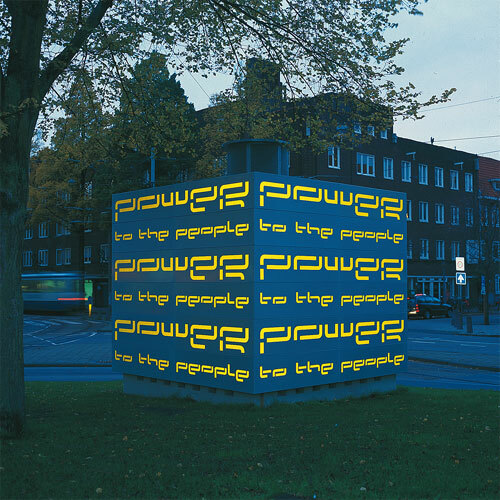 After darkness falls, the work has a relationship with artificial light in its immediate surroundings and actually feeds on passers-by who make the text visible: 'Power To The People'.